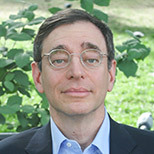 Seth M. Siegel is a businessman, activist and writer. His essays have appeared in The New York Times, The Wall Street Journal, the Los Angeles Times and other publications around the world on business, political and cultural issues. Siegel has often appeared on television and has been widely quoted in major print media. He is a member of the Council on Foreign Relations. His upcoming book, Let There Be Water: Israel’s Solution for a Water-Starved World, was published by St. Martin’s Press in September 2015.